Mirror work. And an ethnic feel. 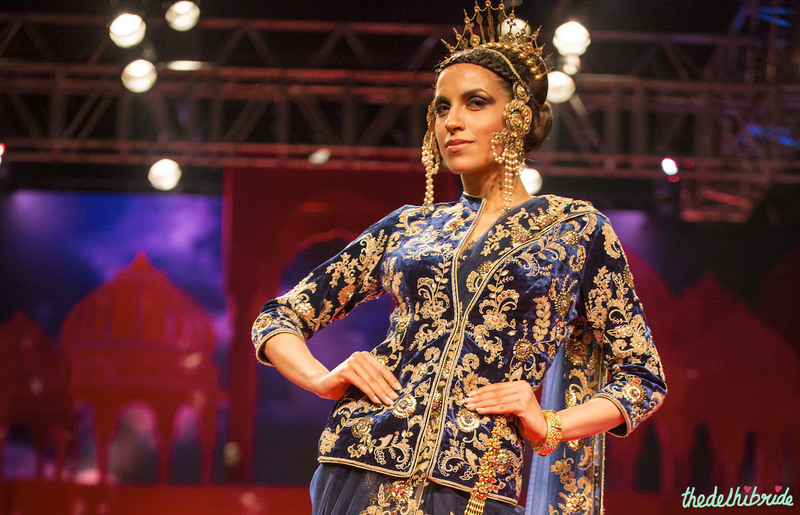 These seem to be the top trends this season, as Suneet Varma models sashayed down the ramp in ethnic bridal outfits with mirror embellishments. Please ignore the head gear, as it appears Manish Arora has convinced all the top designers in India that using outlandish head gear in a fashion show is alright. This too shall pass. A beautiful navy blue lehenga with mirror work in floral motifs. Extremely ethnic in feel, this was one of the lehengas I can imagine a bride putting on for her Rajasthani-themed Sangeet. Where to wear? Your Sangeet. This pink and coral lehenga, with a touch of lime green on the borders, was my absolute favourite of the night! Where to wear? Looks perfect for a wedding. There was something about this anarkali that pulled me in during the show. It’s bordering on edgy ethnic. Where to wear? Friend’s Sangeet. I loved this embroidered blue velvet jacket style blouse! What is your favourite outfit from Suneet’s show? 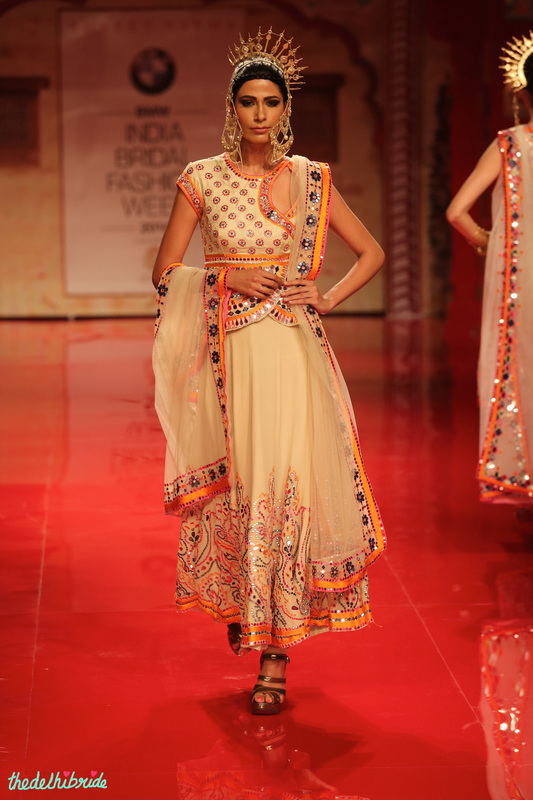 Love the pink lehenga and the cream anarkali… edgy ethnic it is!